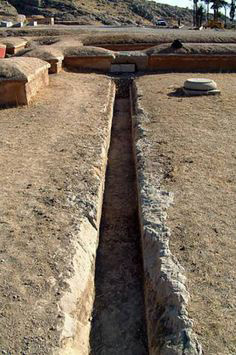 Sumerian art is the art that Sumerian people made. 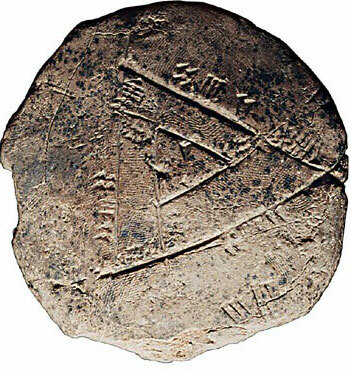 The Sumerians lived in what is now southern Iraq beginning about 4000 BC. Sumerian art is mainly about exploring and supporting the relationships between people and the gods, and plants and animals. 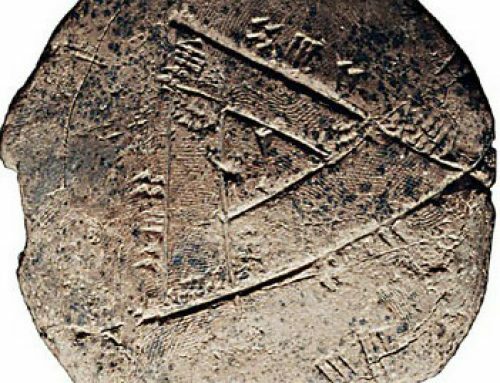 These relationships are complicated, and so Sumerian art represents them in several different ways. 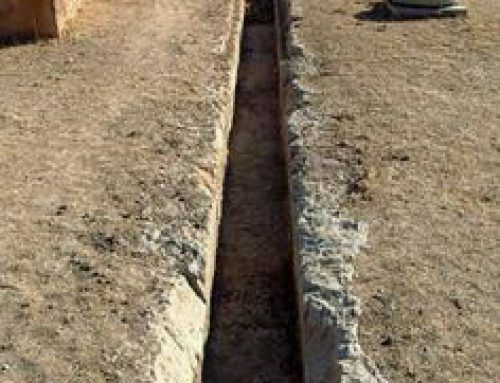 Because clay was common in West Asia and stone was not, most of the earliest statues in West Asia were made out of clay. 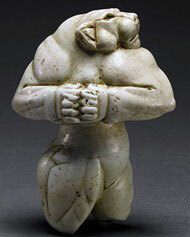 It’s hard to make any sharp edges when you’re working with clay, so most West Asian sculpture looked round and soft. Even when the Sumerians began to carve sculptures out of stone, they kept this round, soft look (at least compared to Egyptian sculpture). 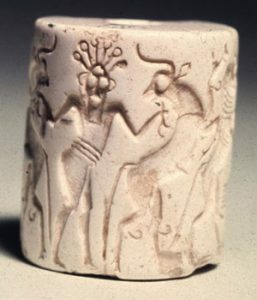 Around the same time, people also began to carve fancy cylinder seals. A cylinder seal is a small piece of stone or clay, in the shape of a cylinder, that will fit in your purse or hang on a string like a necklace. 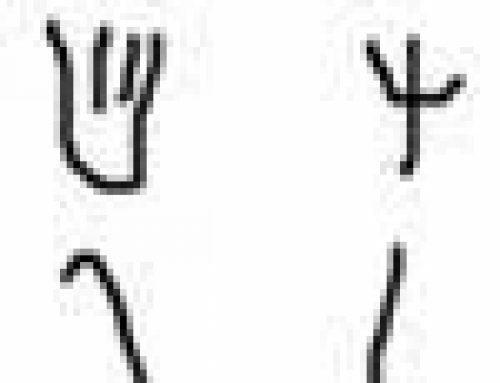 People used cylinder seals the way we use signatures today, to show that they really were who they said they were. 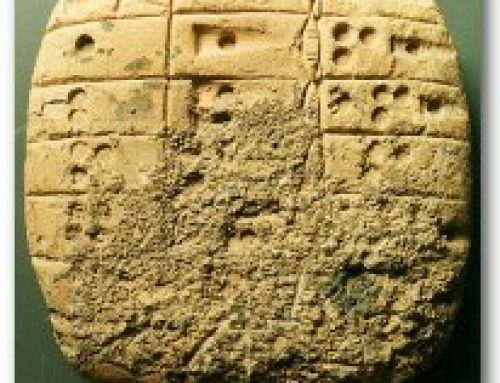 After you wrote something on a clay tablet, you pressed your cylinder into the wet clay to mark it with your sign. So it was important that your sign should be complicated and hard for someone else to fake. 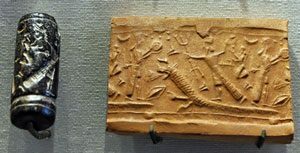 Many cylinder seals are works of art. 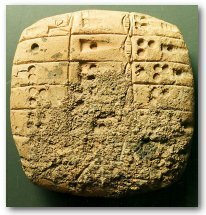 About 2300 BC, the Akkadians conquered the Sumerians, and so we start calling the art Akkadian art instead. The Sumerians, by Elaine Landau (1997). Easy reading. Despite the bad Amazon rating, this is a good solid introduction to the Sumerians, with an explanation of prehistory at the beginning for context. 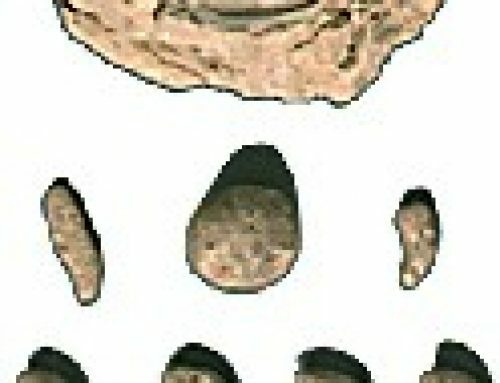 Pictures of ancient stuff, and good maps. Hands-On Ancient People, Volume 1: Art Activities about Mesopotamia, Egypt, and Islam,by Yvonne Merrill and Mary Simpson. Art projects for kids, though the directions are really aimed at teachers or parents. Mesopotamia, by Julian Reade (1991). Good pictures of objects in the British Museum. Cite this page: Carr, K.E. 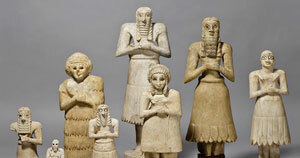 Sumerian art history – Mesopotamia. Quatr.us Study Guides, September 11, 2017. Web. April 21, 2019.